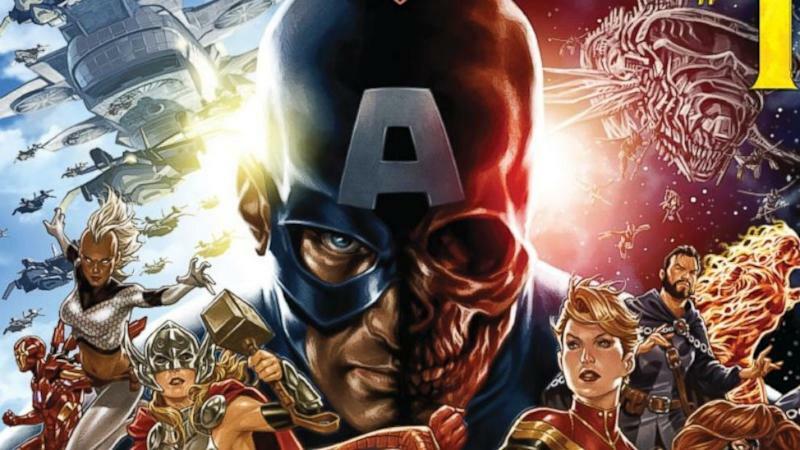 Last month, the Marvel Universe and its superheroes were finally made aware in "Secret Empire" issue 0 that Captain America is working with the villainous organization Hydra. This big shift changed more than 70 years of the icon's history -- a past that placed Captain America on a pedestal as one of comics' brightest stars. The captain's turn is something fans had known for almost a year, but inside the books, Spider-Man, Iron Man and more were kept in the dark until April's debut of this new series. That first issue ended with Hydra's plan of taking over the world and locking out Earth's mightiest heroes coming to fruition. They are now in control. It also ended with Cap, aka Steve Rogers, coming clean about his allegiance to the nefarious organization, a group he's spent most of his comic book life fighting against. Issue 1, which, hits stores and newsstands this week, delves even further into what Cap's shift means to society, including those who idolize him within the Marvel universe, young and old. Everything has changed and it's reflected in this follow-up. Captain America is even listed in the "Hydra Command" introduction section of issue 1, alongside villains like Baron Zemo, Hive and others. He and the rest of Hydra are now targeting Hawkeye, Black Widow, Ant-Man and so many more Rogers used to work alongside with. Other leaders like Captain Marvel and Doctor Strange are exiled and unable to rejoin the fight at this juncture. For what it's worth, Cap and Hydra believe they are bringing order and strength to society by taking over. As fans will see in the new issue, Hydra isn't completely seen as villains outside of Cap's inner circle either. Civilians and others in the book see their victories and start to believe Hydra may be a blessing instead of a curse. With issue 1 on the horizon, the folks at Marvel have released a new statement on this shakeup that affects the very fabric of the comics they print. The summary to fans up in arms: Be patient. "With Marvel Comics’ 'Secret Empire,' the forces of Hydra have taken over and, due to the villainous actions of the Red Skull, have manipulated Marvel’s greatest hero, Captain America, and forced him to adopt their cause," the statement to ABC News reads. "At Marvel, we want to assure all of our fans that we hear your concerns about aligning Captain America with Hydra and we politely ask you to allow the story to unfold before coming to any conclusion." The statement continues that the "passion" of fans is what keeps the company moving forward and that "Captain America, will always be a cornerstone of the Marvel Universe who will stand up for what is right, and 'Secret Empire' will be the biggest challenge Steve has ever faced." "What you will see at the end of this journey is that his heart and soul -- his core values, not his muscle or his shield -- are what save the day against Hydra and will further prove that our heroes will always stand against oppression and show that good will always triumph over evil," it concludes. Not enough of a tease for issue 1? Here's some exclusive Defenders art coming your way that you won't see until "Secret Empire" issue 2. Marvel and ABC News are both part of parent company Disney.